Some people seem to thrive on it; others go to extraordinary lengths to avoid it. Love it or loathe it, one thing for certain is that in the modern workplace, stress is an unavoidable fact of life. However, stress itself is not an illness; we all need a certain level of stress to operate. Nevertheless, excessive and prolonged stress can lead to serious mental and physical illness. One-in-four people in the UK are estimated to experience a mental health problem at some point in their life, and poor mental health in the workplace is calculated by the Parliamentary Office of Science & Technology to cost the UK economy £26 billion pounds each year. With many businesses already struggling in the current economic climate, reducing sickness absence is a major priority for most organisations. In this brief guide, we look at the causes of workplace stress and consider various techniques to help you reduce stress at work. In broader terms, work related stress can be considered as an inability to cope with the perceived demands placed on them at work. 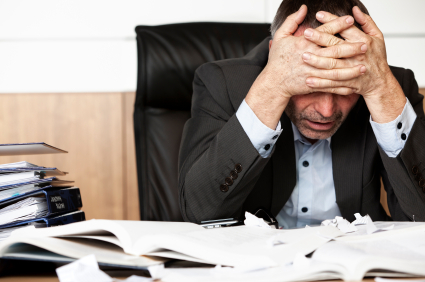 While most of us have experienced pressure at work due to tight deadlines etc, work-related stress arises when we feel we can no longer meet these demands. If left unresolved, this stress can sometimes develop into a more serious mental health problem, such as anxiety or depression, or make worse an existing mental health problem. Demands: Employees indicate that they are able to cope with the demands of their jobs. Control: Employees indicate that they are able to have a say about the way they do their work. Support: Employees indicate that they receive adequate information and support from their colleagues and superiors. Relationships: Employees indicate that they are not subjected to unacceptable behaviours, e.g. threats and abuse from customers or bullying at work by colleagues. Role: Employees indicate that they understand their role and responsibilities. Change:Employees indicate that the organisation engages them frequently when undergoing an organisational change. These factors can interact with other causes of stress outside the workplace such as relationship or financial difficulties, coping with bereavement and so on. Under the Health and Safety at Work Act 1974, employers have a duty to ensure, so far as is reasonably practicable, the health, safety and welfare of their employees. They also have a legal obligation to conduct risk assessments, including for work related stress. 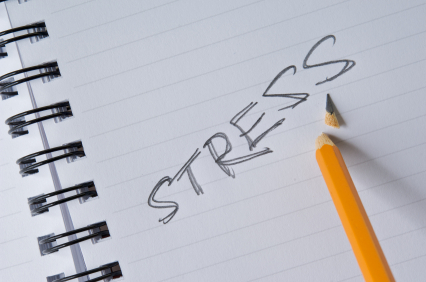 When you take this into consideration along with the fact that work related stress is associated with poor health and well-being, lower productivity and increased sickness absence, then it is obviously in the interests of everyone to tackle work related stress at its roots before it develops into something far worse. A person can reduce the impact of high demands if they have high control over their work. The impact of high demands and low control can be reduced by having high levels of support, either from colleagues or from you as a manager. Relationships can be one of the biggest sources of stress, especially where there are problems like bullying and harassment. Problems with role are probably the easier problems to solve. Change does not have to be at an organisational level to have an impact on individuals or teams, for example, changes in team members, line managers or the type of work or technology used by the team can be just as stressful. RoSPA’s Managing Stress & Violence Course is a comprehensive one-day in-company course that teaches delegates how to identify potential causes of stress and violence in the workplace and explores the various risk reduction methods that are available to minimise these problems. 2/ Eat Healthy Foods-Avoid foods high in fat, sugar and sodium. If you are going to be out all day, make sure to pack healthy snacks and don’t skip meals because this will lower your energy levels. 3/ Avoid Using Drugs or Alcohol to Deal with your Stress-These things will only mask the symptoms of stress and when you stop using them, the stress will return. 4/ Get Enough Sleep-Most people need between 6-9 hours. Learn how to turn off. 5/ Take a Break-Schedule several short breaks throughout the day to help minimize your stress. Get up and stretch, go for a walk, call a friend. When you return to your work, you’ll work more efficiently.